This week saw us visit the pet shop. From a early age it has been clear to see that Maxwell adores animals, in particular fish so this week we decided to take him to a pet shop. When we went to the pet shop Maxwell was amazed. He was so amazed he spent his time walking around the shopping say "wow" and "cool". Whilst at the pet shop Maxwell decided he would like a fish. At the present moment I am unsure if it is a good idea as he is quite young and will hold no responsibility over it however I think he would adore watching one in our own home. I am undecided on whether to buy him one or not. This week saw me do the Christmas food shop online. I love to get in there early and it was a good idea that I did seeing as all the Christmas delivery slots were booking up fast. Whilst doing the food shop Maxwell decided on a few meals for himself to eat over the Christmas period as well as a few treats which he would like. We also bought cake mixes and jelly so we could get creative with food over the Christmas period. Over the last few weeks Maxwell has decided to walk around with a hood up. Ben has often told Maxwell to take his hood down however Maxwell hates having it off and tries to create a fuss if he is asked to. I am unsure where Maxwell got the idea from that having a hood up most of the time is a good idea however I hope the idea is just a phase and he soon stops. Maxwell's speech has continued to come on leaps and bounds this week and Maxwell is now trying to say peoples names, he is trying to string sentences together and he is even saying please and thank you's. 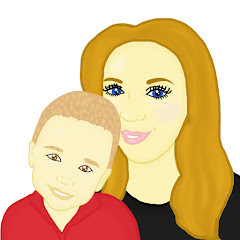 Maxwell is 3 in a few weeks and it is great to see how much his speech has improved in such a short amount of time. I hope the improvement continues. This week I took Maxwell to the park. Maxwell adores having fun in the park however the weather has not been great recently in allowing us to visit the park. As soon as we visited the park this week Maxwell's face lightened up and he decided he would go on every activity in the park. 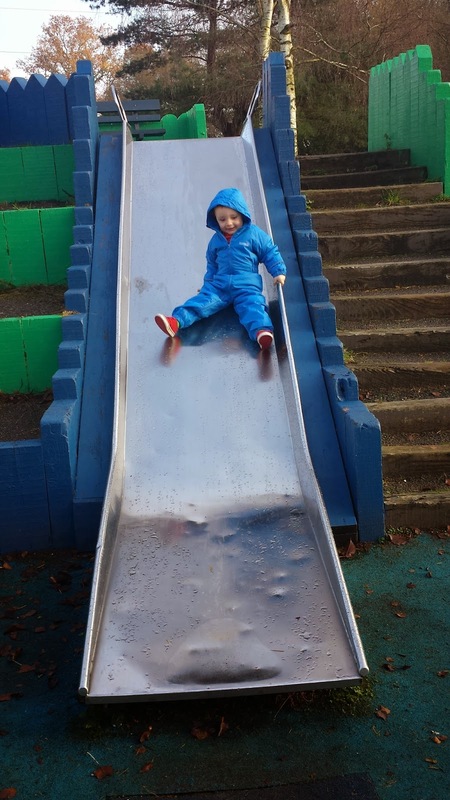 We spent hours at the park and Maxwell had a fab time.I ensured Maxwell wore his snow suit so he stayed warm and dry and this came in handy when he went down a slide which had a load of water at the bottom. I hope the weather stays a little dryer over the next few weeks so we can continue to get out more. Looks like he had lots of fun. Love the snowsuit. I make my daughter wear hers on visits to the park now as everything is wet and muddy.